As horse players and fans of the sport, we don’t always pay much attention to the origins of race names. Some are self-explanatory, like the Belmont Stakes or Kentucky Derby, but others maintain decades-old names that have perhaps lost their meaning for us in the 21st century. So, who exactly was this Natalma for whom this race is named? A $35,000 Saratoga yearling purchase, if nothing else, she was the blueblood product of decades of Whitney family breeding, although not bred by them directly. Her third dam Mother Goose (yes, THAT Mother Goose) won the Belmont Futurity against males as a 2-year-old. 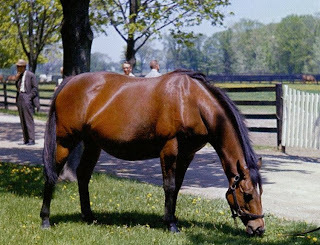 Her dam Almahmoud was a stakeswinner who, in addition to Natalma, produced a stakes-winning filly named Cosmah—whose son Halo sired two Kentucky Derby winners, Sunny’s Halo and Sunday Silence, and whose daughter Queen Sucree produced yet another Kentucky Derby winner, Cannonade. As a 2-year-old in 1959, Natalma broke her maiden at first asking in Race 4 at Belmont Park on May 28—paying a whopping $30. On June 5, she entered in an allowance race at Belmont, but scratched after dumping her jockey and running off before the start. Next her connections entered her in the filly division of the National Stallion Stakes at Belmont on June 15, but scratched her the morning of the race due to a cough. Moving on to Saratoga, on August 6 in Race 7(an allowance race), Natalma finished third behind the fillies Warlike and Fair and Windy. When she won the second race at Saratoga on August 15, the payout was a reasonable $6.40. Still, going into the Spinaway Stakes on August 24, Natalma was a 9-1 longshot while the Wheatley Stable entry of Irish Jay and Warlike was the odds-on choice, likely since the undefeated Irish Jay had already won the Fashion and Schuylerville stakes. "Natalma led virtually from the start, and Warlike ran with her to the far turn. There [Warlike’s jockey] Moreno sought to go in on the rail but Natalma closed in and blocked off Warlike, causing her to scrape the rail. Irish Jay was fourth most of the way, and showed speed on the outside to finish second." Natalma won by three-quarters of a length, but, to the joy of most bettors, a jockey’s objection was upheld by the stewards, and Natalma was taken down and placed third behind both Wheatley fillies. For Irish Jay’s jockey Eddie Arcaro, it was his first Spinaway victory, albeit via disqualification. Irish Jay would go on to win the Demoiselle as a juvenile and at three both the Comely and Acorn (and as a broodmare, she produced 1964 champion juvenile filly Queen Empress). After healing from a hind leg injury suffered several days after the Spinaway, Natalma was set for the November 7 Frizette. In preparation for that start, she ran in a six-furlong allowance race for 2-year-old fillies at Aqueduct (Race 6) on October 23—and finished 12th of 13 as the 4-1 third choice, more than a dozen lengths behind the winner Cleo the Cat. According to the Canadian Horse Racing Hall of Fame website, Natalma made two starts as a 3-year-old, losing her first start at Keeneland on April 9, but coming back two weeks later to win her final race. Preparing for the Kentucky Oaks, Natalma suffered a chipped knee and rather than attempt to bring her back to the track, the decision was made by her owner E.P. Taylor to breed her under a late mid-June cover to his champion stallion Nearctic. "After the Queen’s Plate we always used to have a luncheon party down at Oshawa. After that luncheon Gil Darlington, Mr. Taylor, Horatio Luro and I went over to Darlington’s stone house and we sat down to decide what we should do with Natalma... It was almost the middle of June, which was awfully late to think about breeding a mare. If Natalma was to race again she would need some surgery on her knee and wouldn’t be able to race any more that year. So there was a consensus—we’d breed her. Nearctic had just gone to stud. We brought Natalma home and bred her to Nearctic in about the middle of June." The result? 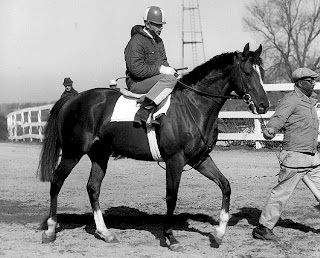 On May 27, 1961, Natalma gave birth to unquestionably the most influential sire of the 20th century—the great Northern Dancer. 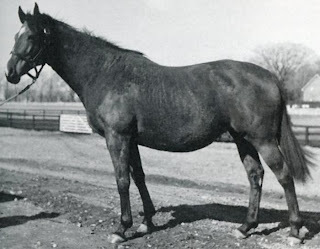 Her second foal, the stakes-winning Native Victor (by Victoria Park) was followed by a full-sister to Northern Dancer, the stakes-placed Arctic Dancer who as a broodmare produced by Buckpasser the champion filly La Prevoyante. 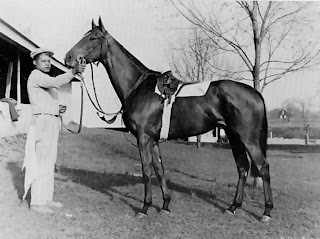 Her other offspring included Jacques Cartier Stakes winner Regal Dancer (Grey Monarch), Queen’s Plate Trial runner-up Northern Native (Nearctic), Plate Trial third-placed Tai (Buckpasser) and stakes-winner Born a Lady (Tentam). 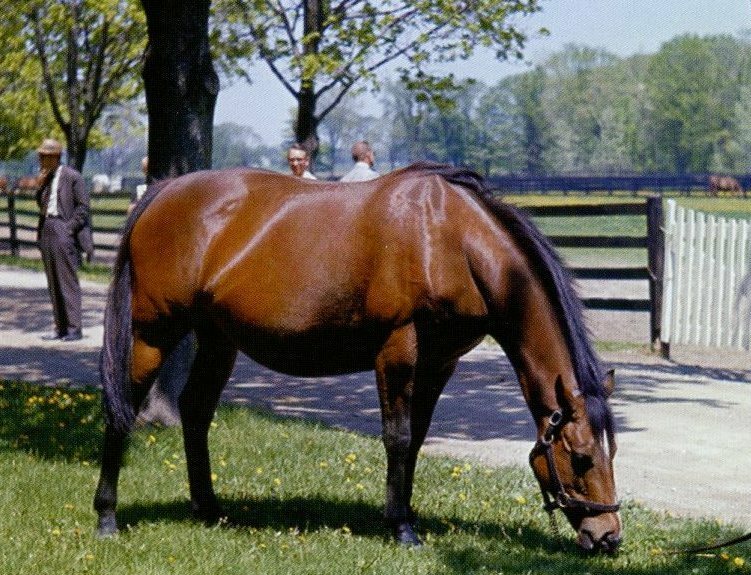 Her 1974 Buckpasser daughter Spring Adieu is the second dam of English Group 1 winner and champion sire Danehill, while her unraced daughter Raise the Standard produced French Group 1-placed mare Coup de Folie, dam of two juvenile champions in France—Machiavellian and Coup de Genie, the latter of whom herself produced the French champion filly Denebola, and the former most famously the sire of Street Cry—sire of the undefeated Zenyatta. Natalma, indeed a worthy name to remember. Edward L. Bowen, Legacies of the Turf: A Century of Great Thoroughbred Breeders (Eclipse Press, 2003) pp. 110-111. Avalyn Hunter, American Classic Pedigrees, 1914-2002 (Eclipse Press, 2003) p. 350. 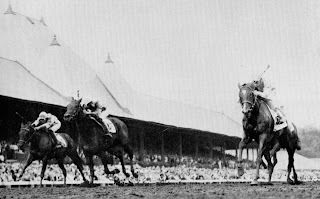 Josepth C. Nichols, “Irish Jay Takes Spinaway Stakes at Saratoga; Foul Claim Drops Natalma to Third” New York Times, August 25, 1959, p. 41. Richard Rohmer, E.P. Taylor (Formac Publishing, 1983) p. 259. This article was very well written and interesting....thank you for taking the time to write it! Wonderful post, I love when stories behind the "bigger" stories are unveiled and this one was quite interesting.